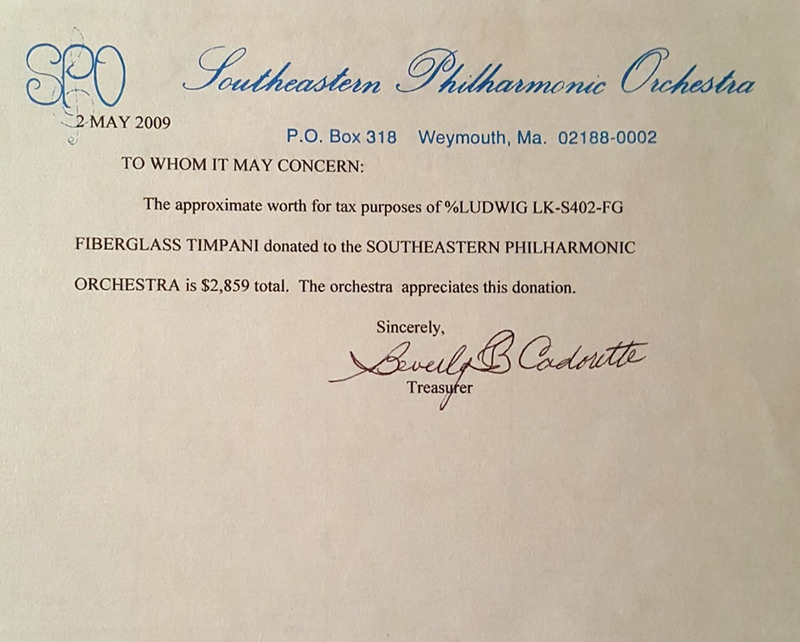 The Southeastern Philharmonic Orchestra evolved from the Whitman Orchestral Club by a dentist and one of his patients. 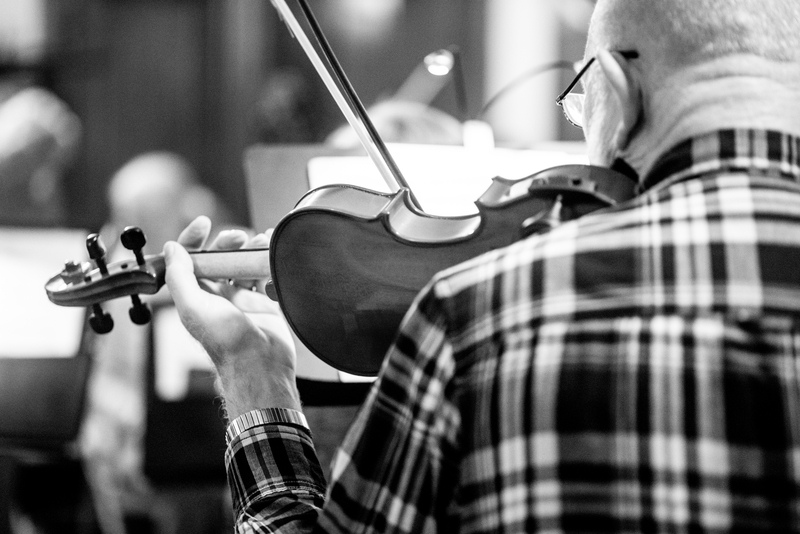 Dr. John Coughlin’s discussion in 1910 with Frank Burnett, a violin student at the New England Conservatory, led to the pair playing duets once a week. 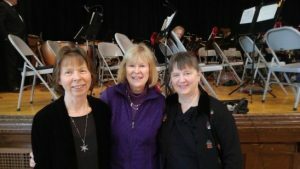 They invited Dr. Ralph Leach, a pianist, to join them. 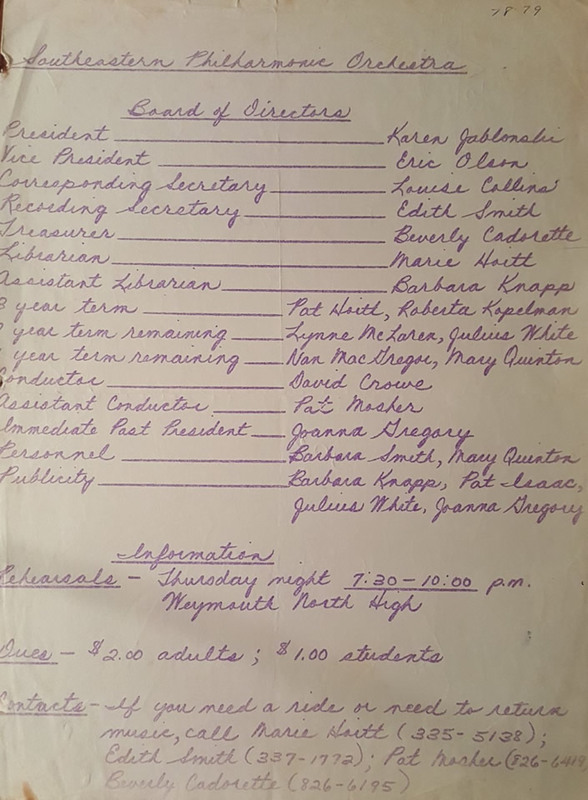 And later, with the help of a high school music teacher, Miss S. Jessie Merrill, they found five good music students and in 1915 formed the Whitman Orchestral Club. 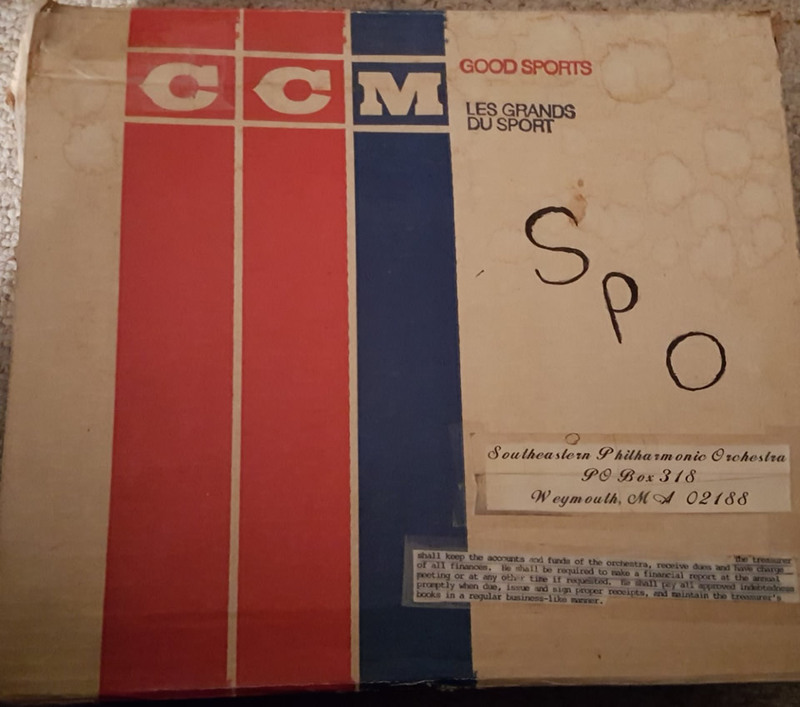 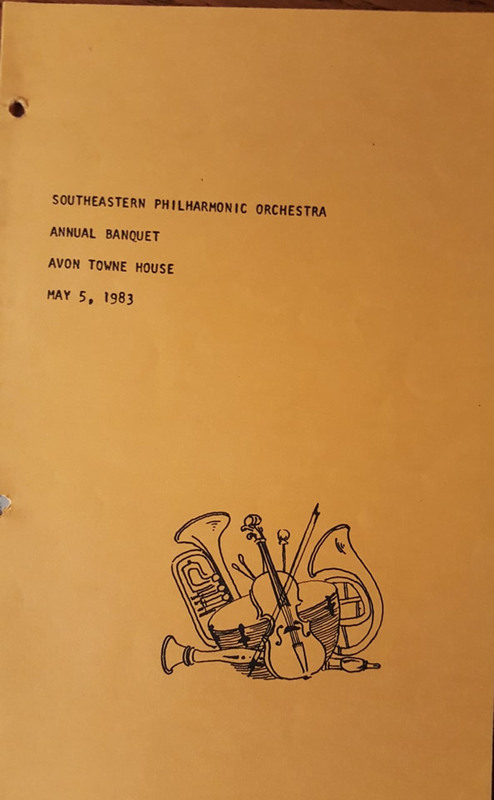 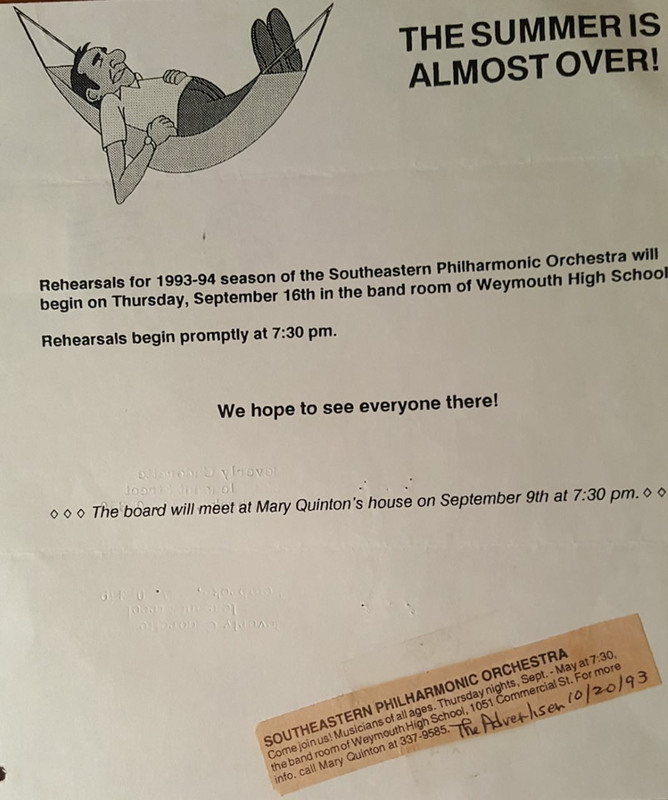 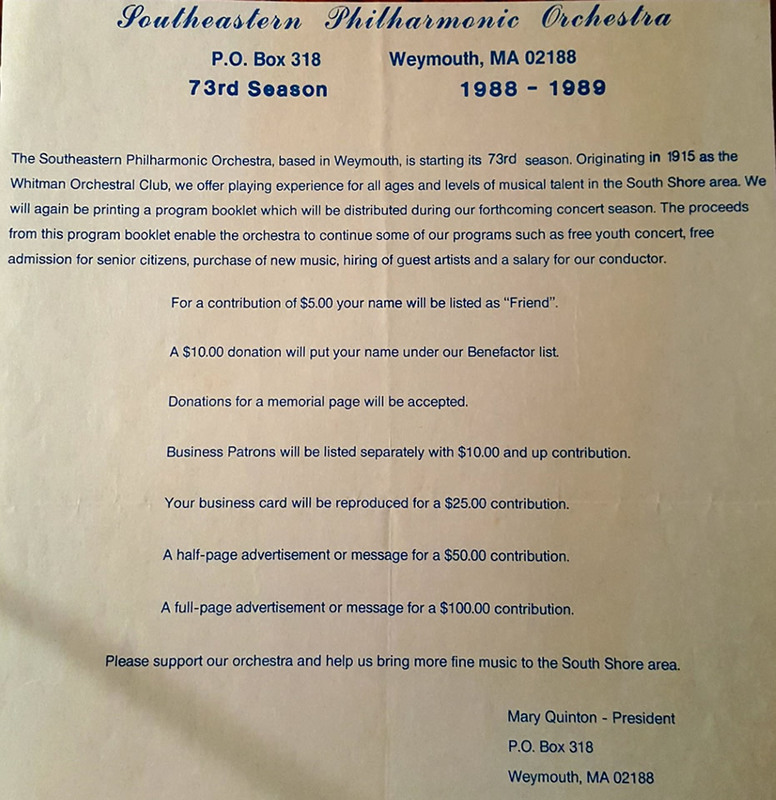 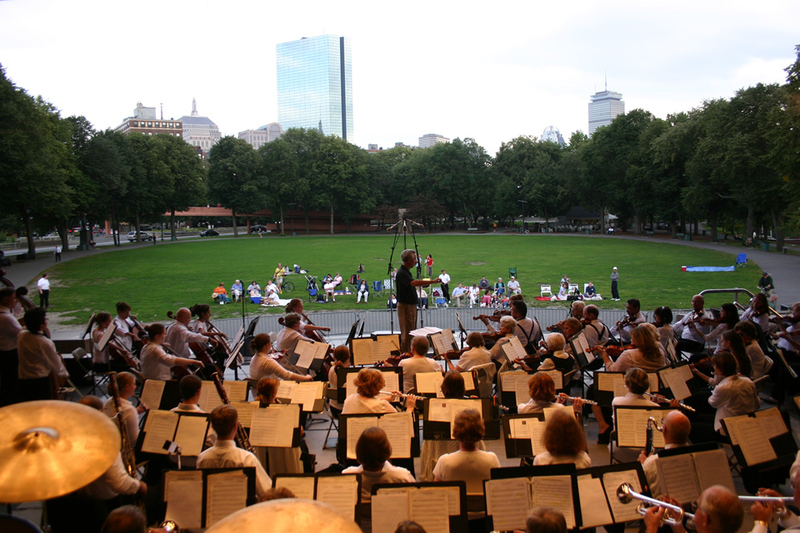 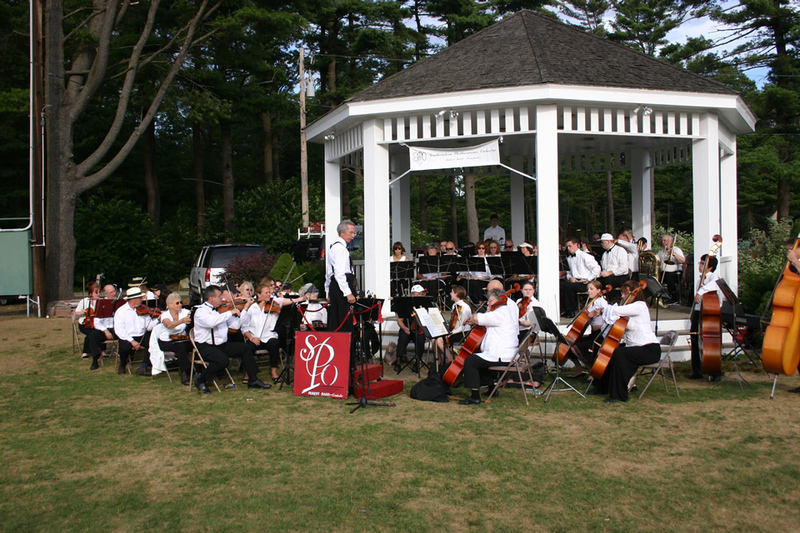 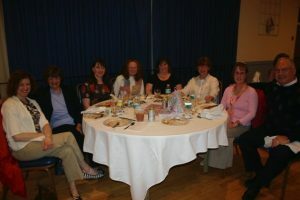 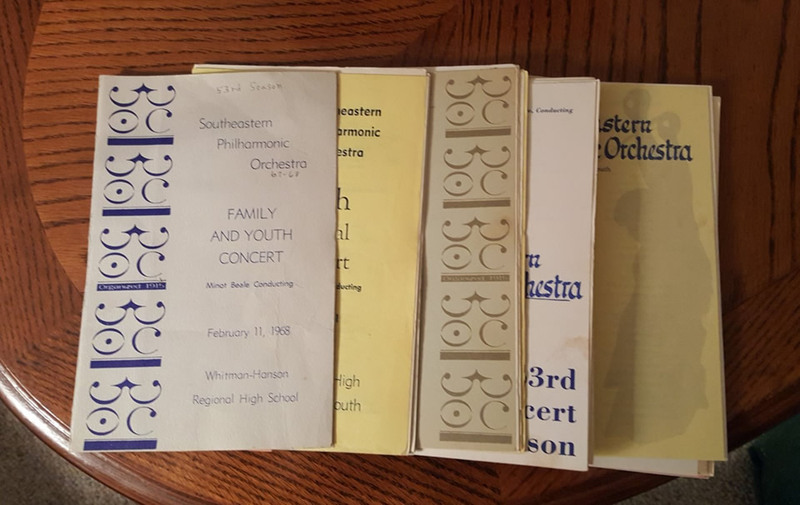 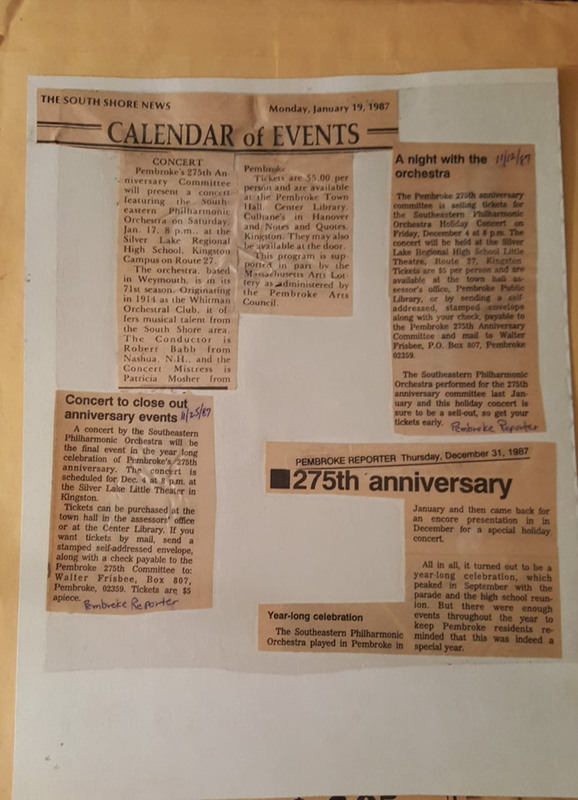 The Whitman Orchestral Club became the Southeastern Philharmonic Orchestra during the 1967-1968 season and moved to Weymouth the following season. 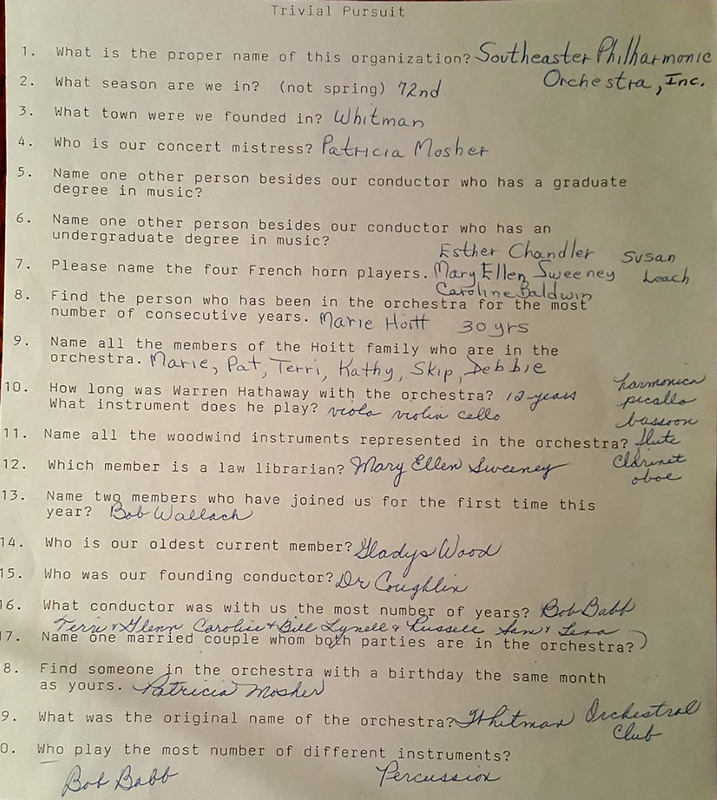 The membership has also changed, growing from the original eight players to 50 or 60 players. 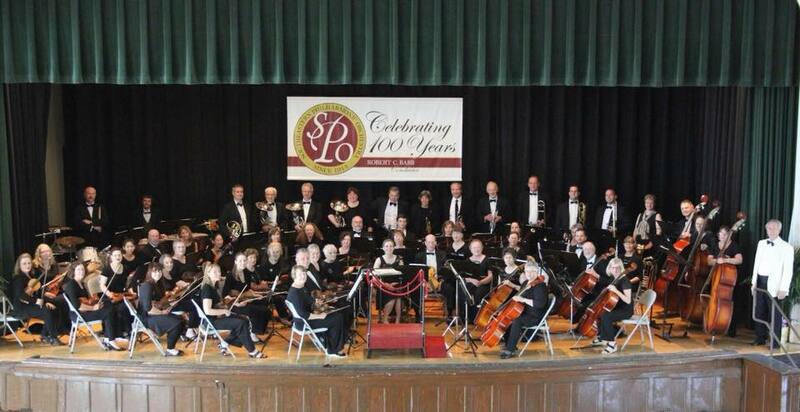 The Southeastern Philharmonic Orchestra is believed to be the oldest continuous community orchestra in the country! 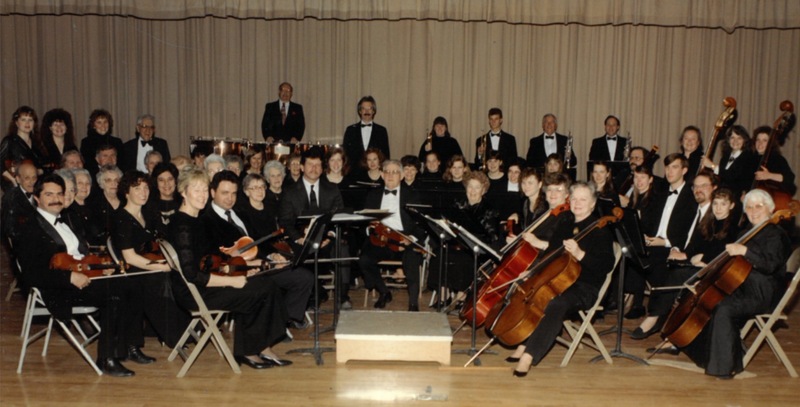 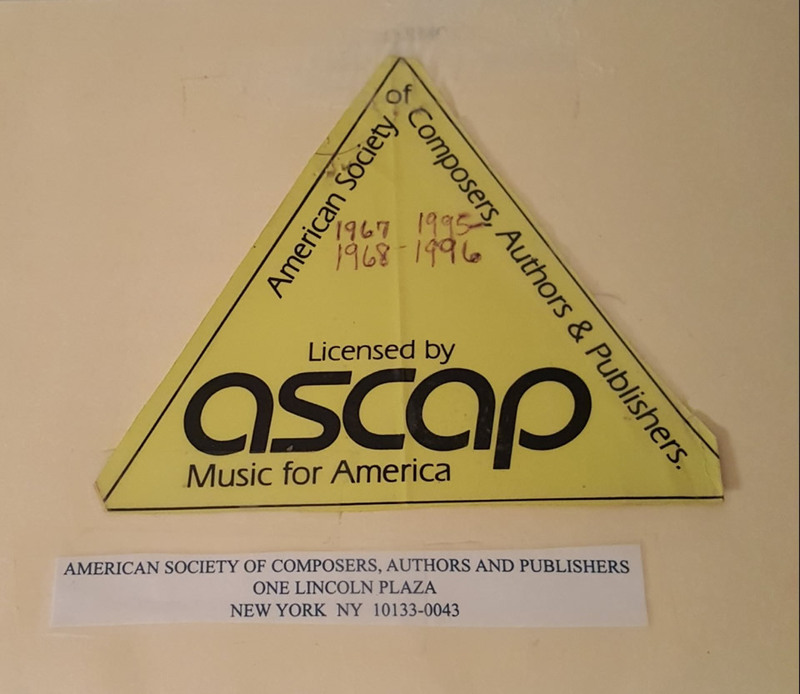 Group photo 1991 – 75th Anniversary.